Always a quotable kind of guy, when Sinatra turned fifty, he said, “You only live once, and the way I live, once is enough.” Thirty-two years later, Frank Sinatra died on May 14, 1998 at the age of 82. The words “The Best Is Yet to Come” are engraved on his gravestone. 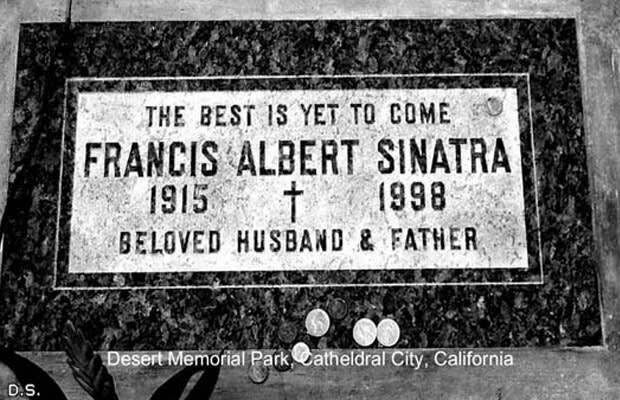 He is buried inside Desert Memorial Park in Cathedral City, California.